Marketers and business owners are always on the lookout for techniques that will get the word out about their brand or product. Getting customers to know about your venue is the ultimate achievement when it comes to a marketing campaign. How others find out about your business, however, can sometimes be the result of a less-than-desirable event. Businesses of all sizes and from every corner of the world are at risk of being launched into fame when a bad review, or a response to a bad review, goes viral. These guys provide perfect examples of your worst review management nightmares. What to do? Here are some tips on how to manage and redirect an out-of-control reputation crisis. Deliver customer experiences that are memorable, flawless, and relevant. Businesses that are passionate about service and product will seldom have to face a crisis associated with a negative review gone viral. Take the time to craft and implement customer experience strategies that take into account the customer’s voice, and put both processes and checkpoints in place to ensure customer satisfaction is prioritized, and issues never escalate to the point of becoming rants worthy of being shared online. Think about ways that foster effortless experiences, and take into account potential points of friction. All negative feedback from customers should have an avenue of escalation that takes place verbally and on location, with the opportunity for your business to make things right, averting a potential brand reputation crisis. If you find yourself embroiled in a review management crisis, it’s pretty easy to make the mistake of having a knee-jerk reaction. But don’t fall prey to your own emotions. Set aside time to create standard operational procedures that account for the most common scenarios of a customer review gone wrong. While it is true that we cannot anticipate every single scenario, we can decide ahead of time the who, what, and when of crisis review management. Choose a spokesperson, someone who’ll own the issue, and make sure he or she has a clear sense of company policies and procedures and can effectively represent your business with the press as well as the authorities. If possible, consider running mock scenarios on a regular basis, and engage members of your leadership to obtain feedback. 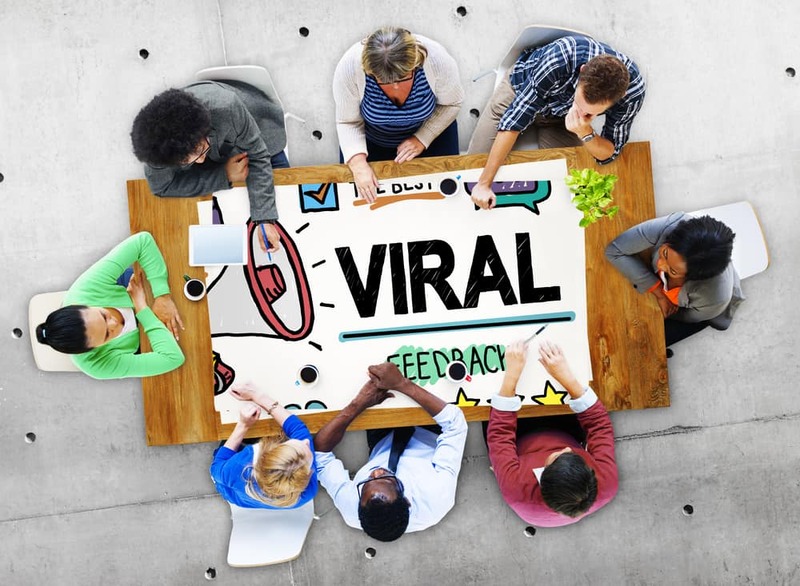 One of the most common and most damaging situations when it comes to a viral negative review is when the business is the last to find out about the situation. Knowing about a problem early will allow you to contain the crisis and resolve it before it causes long-term damage to your brand reputation. In addition to implementing review management and tracking tools, make sure you also have an RSS feed or Google Alerts set up for relevant terms such as your business name, and make it a point to have the person Google your business on a regular basis to attempt to identify a potential PR crisis. Bad reviews will happen, and more often than not they will soon disappear, thanks to new and better reviews that are added to your online profiles. When a bad review happens, you are in charge of your reaction and response. So don’t let a careless or foolish response be the cause for a review to go viral. We cannot stress enough the fact that you jeopardize your brand when your response contains profanity, offensive language, or unprofessional communications. Step back and take a deep breath before you hit the submit button. You don’t want to find yourself in the shoes of Sunset Terrace Restaurant & Lounge in Thousand Oaks, CA. When your business has strong values and you are confident that the whole customer lifecycle is managed with excellence, you can trust that truth and facts will come to your defense. In fact, many businesses are surprised to find that other customers will come to their defense when there is a well-established brand reputation. Despite trolls, the truth will always surface, so work hard to do things right, and even when you happen to find yourself in the middle of a public relations or review management crisis, the storm, so to speak, shall soon pass. Bad things happen to the best of us. If you end up trending on Yelp or Facebook and Yahoo for a genuine mistake, even if it is one that you feel you will never recover from, don’t try to hide your head in the sand. If you realize you or a member of your team dropped the ball, make it a point to take responsibility in a way that is loud and clear. Consider a public apology or a press release to make sure your message of apology and your commitment to make things right not only reaches the affected party or parties, but also is made available to everyone that may have been exposed to the viral nature of the review. If you have it in you to recover like a star, do it. Sometimes, spending time righting a negative review gone viral may just give you the upper hand. Explore your options, and perhaps your marketing muses will gift you with a creative way to take ownership of what would otherwise be considered a marketing and brand reputation disaster. If life gives you lemons, make lemonade. Take advantage of the press coverage, and if possible and appropriate, consider running a promo that is themed after your bad review and seeks to provide other customers the opportunity to give you a second chance. You are in charge of your marketing destiny, and taking corrective action is completely up to you. Imho, it’s not really the bad review that has that much potential to go viral, but rather the response you have to it. As you said in the text, everybody makes mistakes, but if you respond to somebody pointing out that mistake with furious words, of course you are going to have bad publicity problems, right? Great inhgtsi. Relieved I’m on the same side as you. I like those stories when somebody wrote a bad review and management answers politely and eloquently. It can help to the business because people love those situations when somebody tuns out to be stupid. Trying to predict whether a bad review goes viral or not is equal to putting yourself into state of paranoia. So, what if it goes viral? It’s usually done by trolls and it last no more then few days. I mean, if you’re doing eating at a fine restaurant each and every day, can you really stop eating there because of the viral bad review. Bad reviews make are louder than good ones, and sometimes they can even be beneficial. People forget about the review and all they remember is that they’ve heard somewhere about you and it’s good that you are remembered. So, there are no bad reviews. Just reviews. LoL You’re totally right. Both negative and positive reviews are giving more publicity then no reviews at all, because it could be interpreted as: no reviews – no customers. It’s really hard to recover from a bad review. Interestingly, the bad reviews are those who make more noise than the good. You can have ton of good reviews but one bad is enough to ruin your whole business. It’s unbelievable how easily a bad review goes viral and suddenly the whole internet knows about a bad review and they are all mocking at you. It not only causes your income to come down, but your spirit too. If you respond at a bad review on time, and in a polite and nice manner, there is no chance of going viral. I believe that your sarcastic response can make bad review go viral even faster. You’ve made the point – it’s all about the truth, but you have to do your business honestly and descent to be able to tell only the truth. If a customers makes a review about your dirty restaurant and your restaurant is really dirty, if you tell the truth you can get into a lot of trouble. Great advises for bad reviews I hope I won’t have to deal with them. Sometimes it is good for your sarcastic response to go viral. If people actually will like your response it can be very beneficial for your business. Like those Pizza Hut owners who encouraged people to write bed reviews about their business. Sarcastic replies can be a big advantage and you can take leverage of them. This things can happen to anyone and you shouldn’t get upset about it. People really quickly forget about it. It will last no longer then few days. The trick is not to panic, or to react rudely.